A x3CD joinery from the UK’s swinging 60’s to Jamaica and beyond. Also avail be as a limited edition 7” vinyl box set. 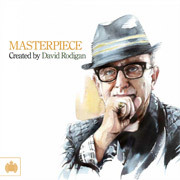 The ‘Masterpiece’ series is a concept fronted by artists and DJs of the highest calibre. It’s an opportunity for these pioneering acts to curate a three disc musical journey that depicts their own influences and inspirations which they can share with their fans. David’s selection has been carefully broken down into three discs featuring a range of influences from The Kinks, Marvin Gaye, Etta James, Dusty Springfield, Bob Marley & The Wailers, Tessanne Chin, King Tubby and Ini Kamoze to name a few.